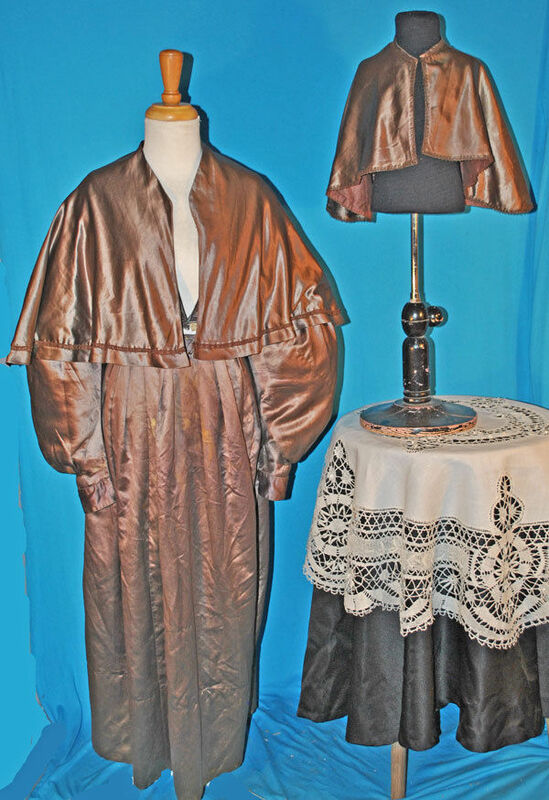 A most becoming and charming rare American 1830 - 1840 greyish brown silk satin and ALL hand stitched one piece gown with 2 matching capes. Recently de-accessioned from the Rochester Historical society in New York State, and still retaining its original identification museum tags as well as numbered on inside bodice. 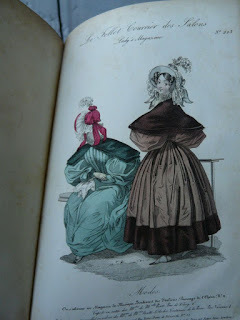 The dress has a no closures and with long gigot sleeves with upper shoulder capand the waistline is decorated with pleating in front and back. 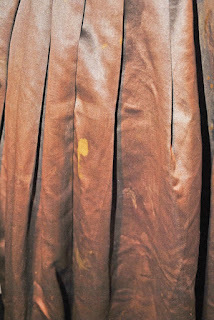 The front skirt waist attaches on either side with strings. Both strings have worn over time and are short. The bodice is lined with a polished tan cotton, sleeves are lined with a dark brown polish cotton and the skirt is unlined. Piping around drop armscyes, wrists, and shoulders. 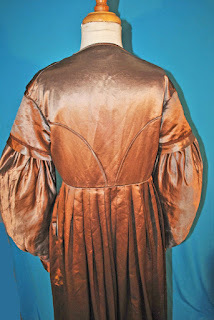 The front of the bodice has no closures and has decorative pleating. 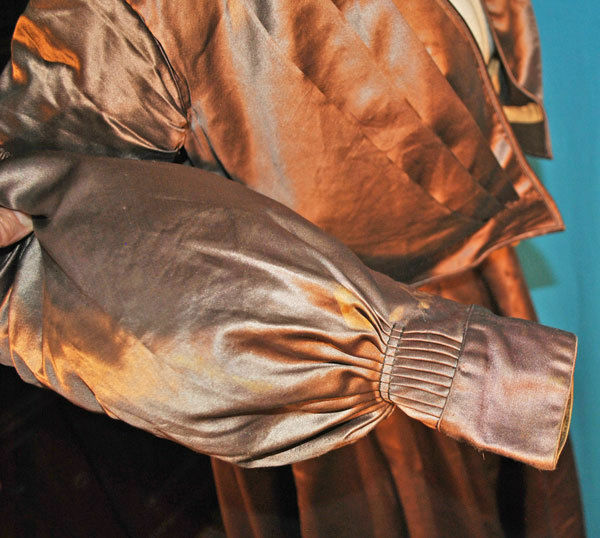 Ths sleeves have ruching on cuff. Brown braided trim on shoulder cap, and on both matching capes. The gown is in very good and sturdy condition with the satin being very soft. 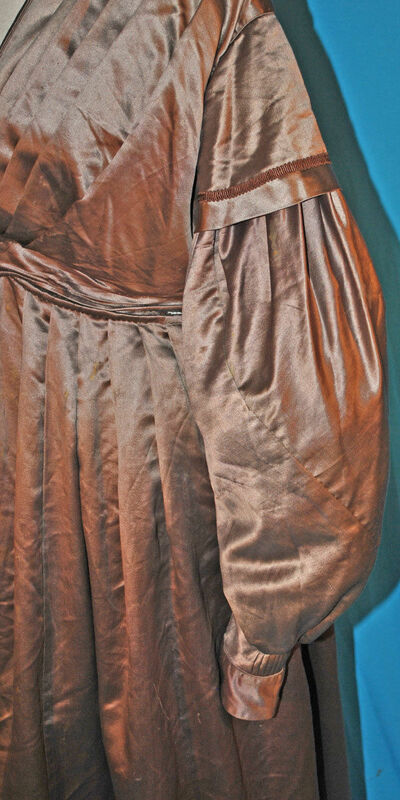 There is no underarm discoloration, and scattered color discoloration from decades ago stains, on a sleeve cuff as well as skirt. 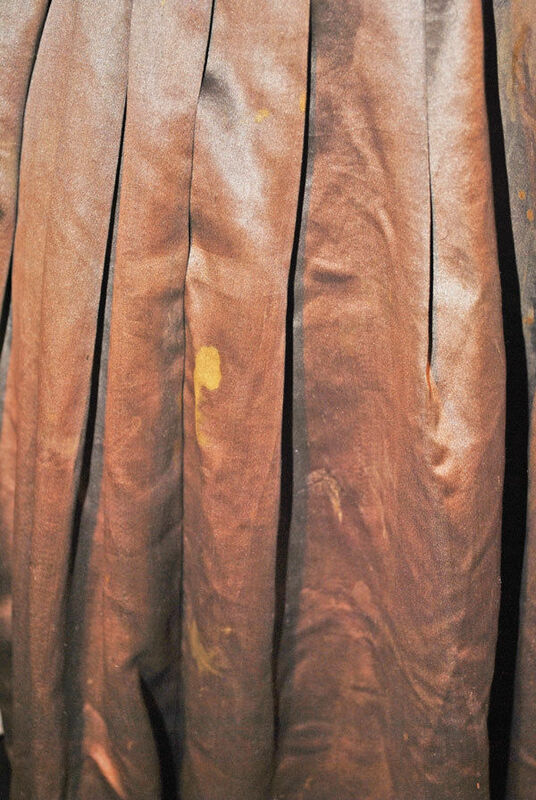 One of the capes has a split in the lining. 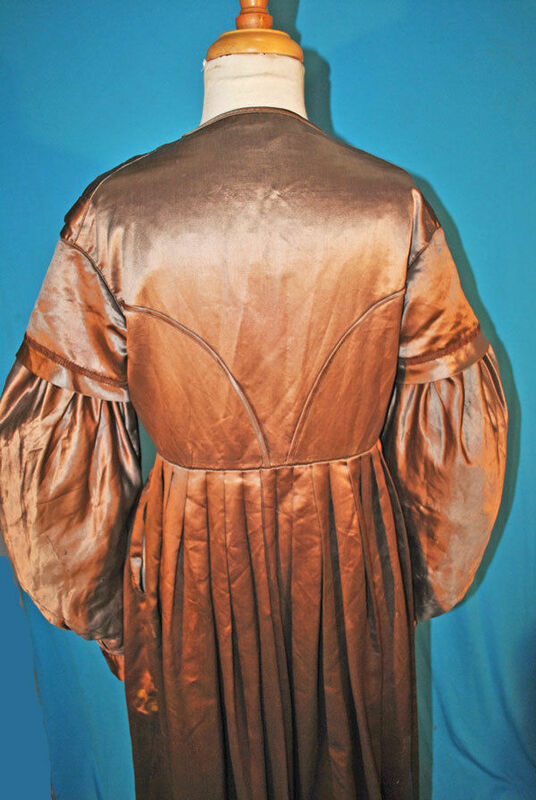 Length of dress from shoulder seam to hemline in back 52". A truly grand display dress/gown or for study or for display only. A MOST BREATHTAKING GOWN WORTHY OF ONE'S COLLECTION. 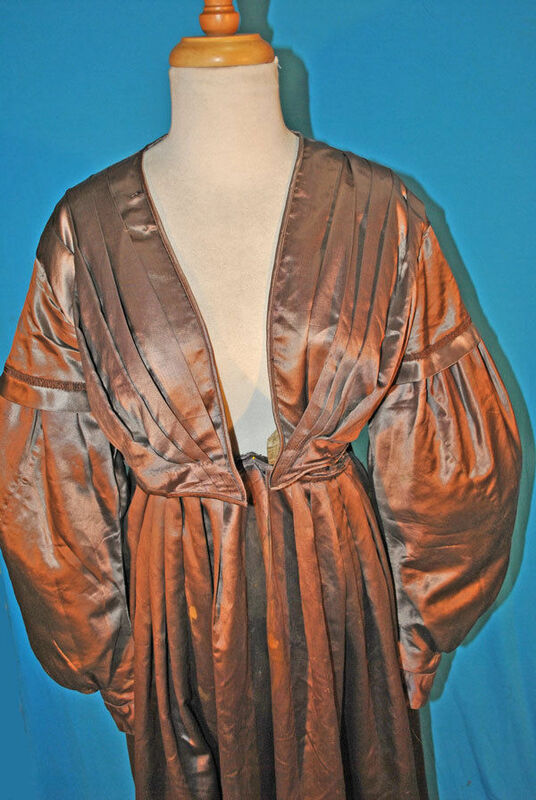 The bodice fronts would have criss crossed over each other (it looks like the left side should cross over the right) to fasten the dress correctly.